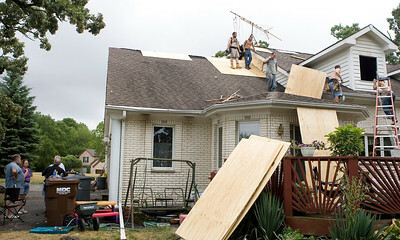 Coverage of the how individuals in McHenry County dealt with harsh weather overnight from Thursday, July 19, 2012. 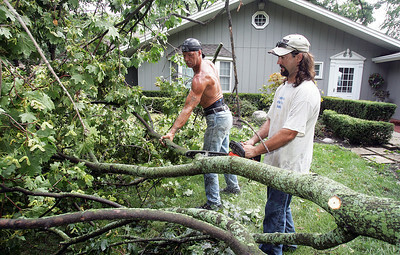 H. Rick Bamman -hbamman@shawmedia.com Tree removal crew John Fox (left) and Brian Stodola clear debris Thursday at 370 S. Shore Dr. in Lakewood. 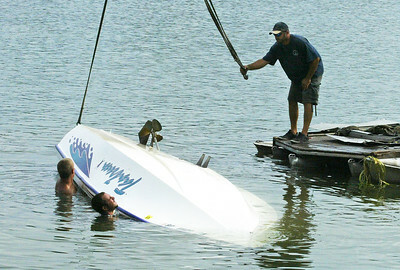 H. Rick Bamman -hbamman@shawmedia.com "I was watching out the back window, I don't see the pier, I don't see the boat," said boat owner Pete Mateljan discribing the Wednesday night storm as he watched Captain Rod's recovery crew from left Ben Reheeg, James Moch and Brian Cuker right the craft from Crystal Lake Thursday morning. 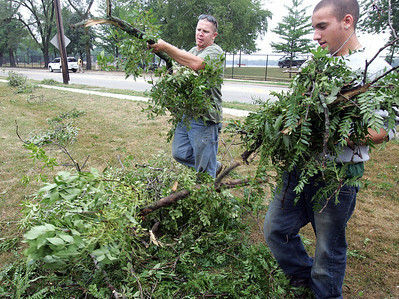 H. Rick Bamman -hbamman@shawmedia.com Crystal Lake park district workers Kyle Berge (left) and Andrew Guminski clear branches Thursday in the lot at Country Club Road and Lake Ave. The high winds and heavy rains Wednesday night struck Main Beach and wrapped around the southeastern portion of the lake about 10 blocks into Lakewood. 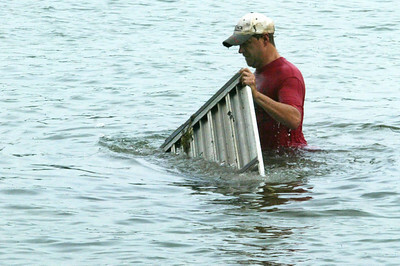 H. Rick Bamman -hbamman@shawmedia.com Larry Galizi wades in Crystal Lake Thursday morning to recover submerged pieces of a pier that was blown apart by high winds over night. Mike Greene - mgreene@shawmedia.com JP Broznowskit, of Cary, tosses down debris while repairing the Kobeszko family home in Lakemoor Thursday, July 19, 2012 after a fire started when the home was hit by lightning. Mike Greene - mgreene@shawmedia.com Members of the Kobeszko family and friends work repairing the family's home in Lakemoor Thursday, July 19, 2012 after a fire started when the home was hit by lightning last night in the storms. 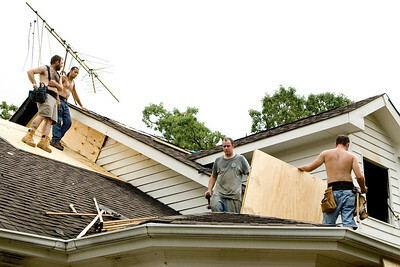 Mike Greene - mgreene@shawmedia.com Casey Kobeszko Jr. and Jonathon Kobeszko work repairing their family home in Lakemoor Thursday, July 19, 2012 after a fire started when the home was hit by lightning. 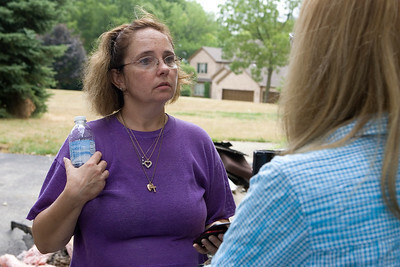 Mike Greene - mgreene@shawmedia.com Laura Kobeszko speaks with an insurance agent in Lakemoor Thursday, July 19, 2012 after a fire started when the home was hit by lightning. Mike Greene - mgreene@shawmedia.com Doug Scott, of Meade Electric, works replacing a traffic light Thursday, July 19, 2012 near Main Beach in Crystal Lake after storms knocked down the traffic light last night. 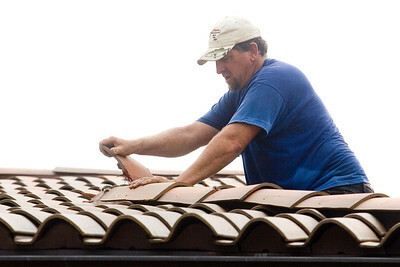 Mike Greene - mgreene@shawmedia.com Patrick Burke, of National International Roofing works repairing shingles Thursday, July 19, 2012 at Main Beach in Crystal Lake after storms caused damage to the main building. 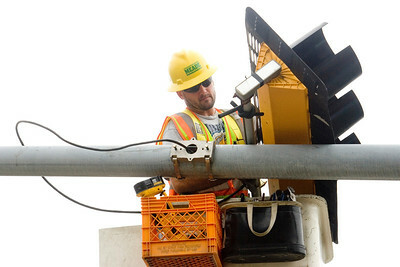 Doug Scott, of Meade Electric, works replacing a traffic light Thursday, July 19, 2012 near Main Beach in Crystal Lake after storms knocked down the traffic light last night.